SSMS continues to fascinate me with it’s immense wealth of features geared towards developer & administrator usability. Some time back, I wrote about how to use the Properties window during performance tuning and getting missing index information in SQL Server 2005. Let’s run the following query in SQL Server Management Studio. Include the “Actual Execution Plan” by pressing Ctrl+M before running the query. As a cross-check, change the SET options on the query, or use the features of SSMS to change the SET options for just this connection. 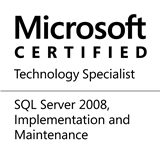 Please note that this feature is available in both – SQL 2008 and SQL 2005. This entry was posted in #SQLServer, Blog, Imported from BeyondRelational and tagged #SQLServer on August 1, 2011 by nakulvachhrajani.